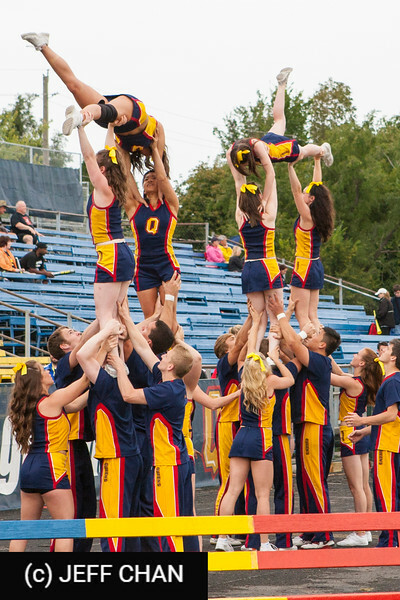 Photos of the Queen's Golden Gaels vs. the Windsor Lancers at Richardson Stadium, Kingston, ON on September 7, 2013. 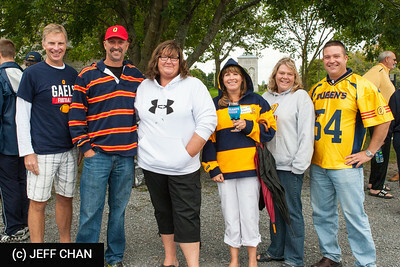 Featuring the pre-game and post-game tailgate parties. All photos are by Jeff Chan. 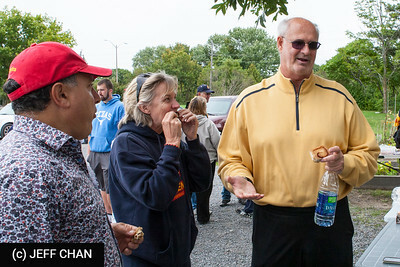 Jeff is past Chairman of the Vanier Cup - Canada's University Football Championship and the Premier University Event in Canada, and was a member of the Canadian College Bowl Board and Vanier Cup Organizing Committee from 1978-2000. 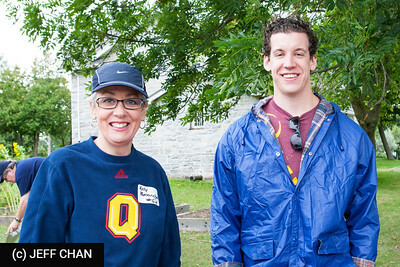 All photos are Copyright (c) Jeff Chan 2000-2013, and may be used for personal non-commercial applications including by Queen's University, the CIS and its member conferences, so long as photo credits are shown or the photos are otherwise attributed to Jeff Chan. All other rights, including for all corporate use, are reserved. The No. 2 Gaels (3-0) put the game out of reach in the first half against the Windsor Lancers (1-2), as quarterback Billy McPhee (Burlington, Ont.) threw for 230 yards and two touchdowns on 12 of 13 attempts in the opening two frames on Saturday afternoon at Richardson Stadium. McPhee set the tone early, marching the Gaels offense 67 yards down the field and capping the drive with a 40-yard strike to Justin Chapdelaine (Abbotsford, B.C.). Lancer's quarterback Austin Kennedy responded on Windsor's next possession, orchestrating a 10-play, 84-yard drive, and running it in himself to tie the game seven apiece in the first quarter. 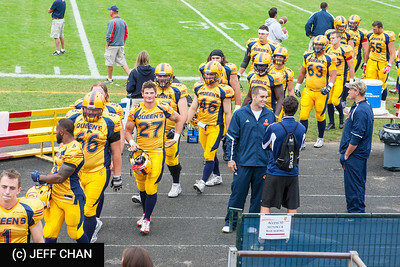 The Gaels blew the game open in the second quarter, scoring two touchdowns on two plays. 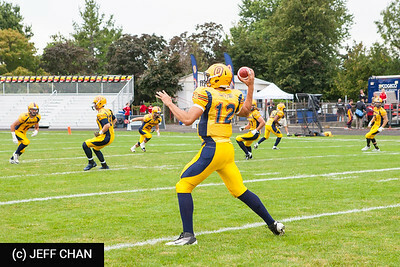 After a 35-yard pass to Scott Macdonell (Montreal) ended a 95-yard drive, Jonah Pataki (Wallaceburg, Ont.) jumped on the fumbled kick return in the endzone to put the Gaels up 28-10. As the Lancer's leading rusher with 122 yards, Kennedy had 329 all-purpose yards on the day, but Windsor couldn't mount a second-half comeback. McPhee ended the day 14 of 21 through the air, throwing for 297 yards and three touchdowns. 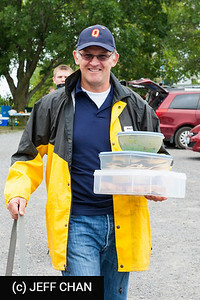 Doug Corby (Burlington, Ont.) caught McPhee's longest pass, a 52-yard touchdown in the fourth quarter. 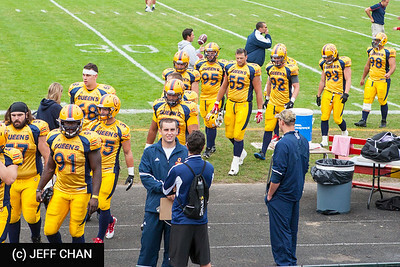 The Gaels' field goal unit was called upon four times throughout the game, and Dillon Wamsley (London, Ont.) connected on each attempt, including one off the upright and in. 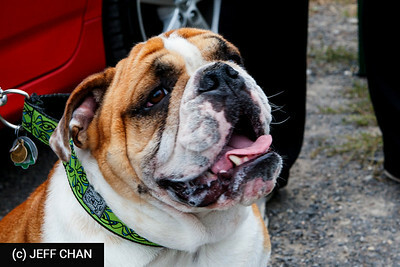 Sam Sabourin (Stittsville, Ont.) was everywhere for the Gaels on defense, leading the team with 9.5 tackles and an interception while the Lancers were led by Akeem Whonder who had 6.5 tackles, a sack and a fumble recover. 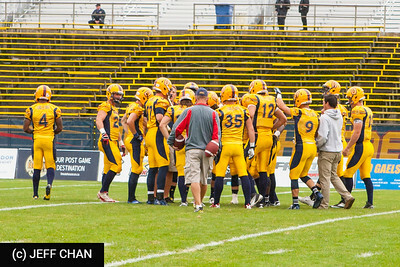 In a football game laced with mistakes, the Windsor Lancers were called to pay dearly Saturday afternoon. 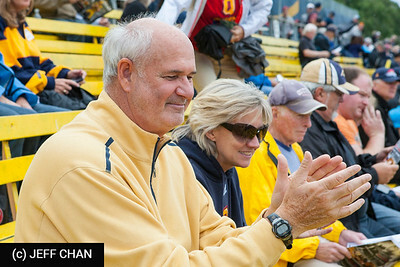 From four turnovers, the Queen’s Golden Gaels exacted a stiff price of 24 points. The Gaels were just as clumsy — they fumbled the ball four times in the first 22 minutes of the game — but coming back across the counter the exchange rate they gave their opponent was decidedly softer. Even though three of those turnovers came inside Queen’s own 40-yard line, all Windsor got in return for four sudden opportunities was a measly pair of field goals. 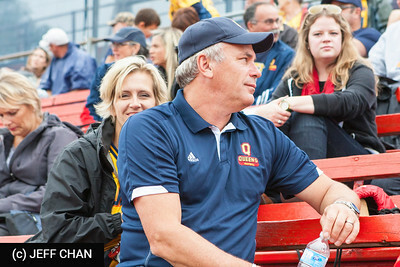 That difference was reflected on the scoreboard at the end of the game, as Queen’s walked off with a 49-34 win in an Ontario University Athletics contest before a crowd of 2,308 at Richardson Stadium, the Gaels’ fifth win in a row over Windsor since 2006. It was the third win without defeat this season for the No. 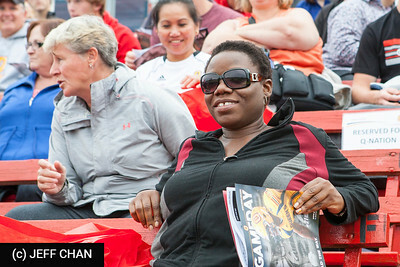 2-ranked Gaels, who have next weekend off and don’t resume play until Sept. 21 in Ottawa. Windsor fell to 1-2. Both quarterbacks pointed to the mistakes as having a large influence on the outcome of the game. “They made a lot of mistakes and we didn’t take advantage,” Lancers quarterback Austin Kennedy said. 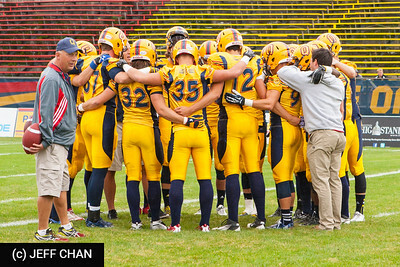 “We matched them and made mistakes as well (but Queen’s took advantage). That was the story of the game. We didn’t take advantage. 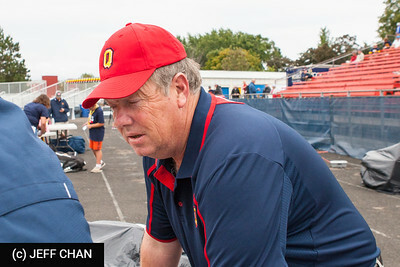 Billy McPhee of Queen’s was much more efficient in terms of capitalizing on his opponent’s errors. “Points off turnovers is the most important stat, in my opinion,” he said. “Talking about momentum, that’s where (it can get killed): ‘Ah, we just turned the ball over, come on, D, let’s get a stop,’ and then, boom, they score. It took the Gaels just two plays to zing the Lancers for Kennedy’s first interception, by Sam Sabourin. 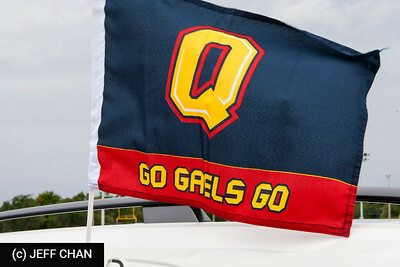 After a 25-yard completion to Justin Chapdelaine and an unnecessary-roughness penalty set Queen’s up at the Windsor one-yard line, Ryan Granberg carried in for a touchdown that put the Gaels ahead for good, 14-7. The breakthrough play came midway through the second quarter. 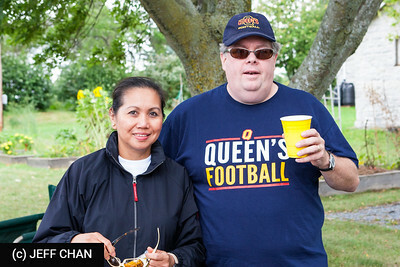 After Windsor had cut the Queen’s lead to 14-10, McPhee and Scott Macdonell connected for a 35-yard touchdown. On the ensuing kickoff, Windsor’s Nigel Applewhaite fumbled the kickoff — twice. He first bobbled it in the end zone, then picked it up and got to about the five-yard line, where he fumbled it again. Jonah Pataki picked up the ball and took it across the goal line for Queen’s second touchdown in eight seconds, and a 28-10 lead. 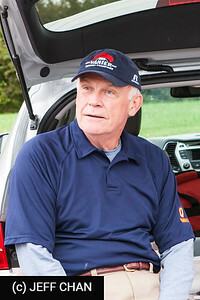 D’Amore also lamented his team’s ability to compound its mistakes. “For example, the kickoff, we fumble the ball into the end zone. He picks it up. At that point we either kneel and give up a single or secure the football. We run out, fumble it (again) and it ends up as a touchdown. We don’t have a guy open, it’s second and short — we can’t take a 25-yard sack from the quarterback running around. Little things like that. “At this level, when you’re playing against good teams and you make big mistakes like that, it should cost you — and they did,” he said. “It cost them, we had others that cost us. 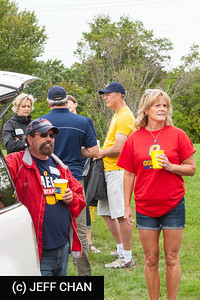 Indeed, the Gaels were far better than they were a week ago against McMaster, when they mustered just 227 total yards. 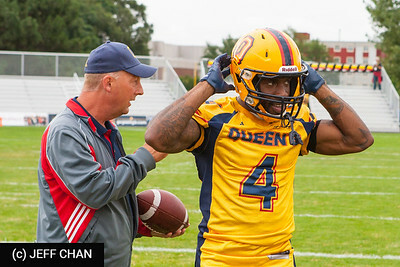 Queen’s had a season-best 420 yards of offence, scored four offensive touchdowns and got four field goals from Dillon Wamsley. “Not perfect,” Sheahan said, “but a little better. “To come down and score the major on the first series of the game was a great confidence boost. What’s still lacking, Sheahan said, was in evidence in the third quarter, when his team had 49 yards of offence, two first downs and a turnover. Windsor, meanwhile, scored 10 points to get back in the ball game at 31-20. By the end of the game, the Gaels were almost nine minutes in arrears when it came to time of possession. McPhee had his best game of the season. He was good on nine of his first 10 pass attempts, completed 67 per cent overall, threw for 297 yards and three touchdowns with not one interception. Technically, he said, the biggest improvement was with the play of the offensive line. Windsor rushed the football well, with Gilbert Stewart gaining a season-best 93 yards and Kennedy running for far more than 122 yards the official game statistics give him credit for. 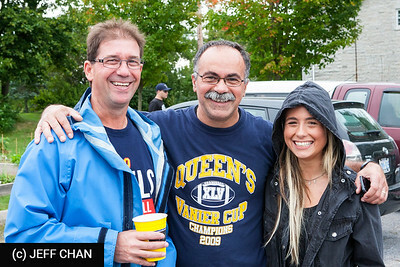 Each team engineered a nice drive to score on its first possession of the game, Queen’s 67 yards in five plays and Windsor 83 yards in 10 plays. It was 14-10 Gaels after the first quarter and 31-10 at halftime. 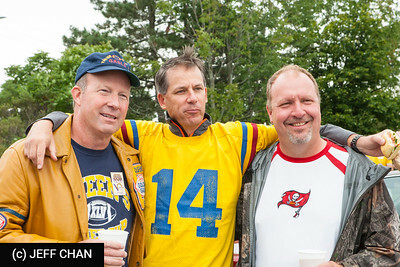 Besides the Granberg, Macdonell and Pataki touchdowns, Chapdelaine, on a 40-yard pass in the game’s third minute, and Doug Corby, on a 51-yard pass midway through the fourth quarter, had the Queen’s majors. Wamsley was 4-for-4, with field goals of 42, 38, 30 and 34 yards, three of them in the fourth quarter. Kennedy had touchdown runs of four and 60 yards. 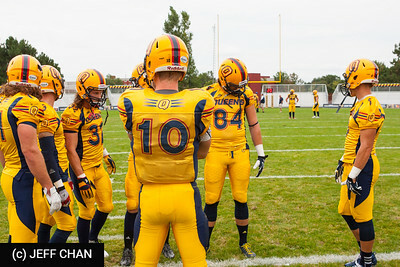 He also completed an 11-yard scoring pass to Evan Psczonak. Mitch Dender scored the Lancers’ other TD on a one-yard run in the game’s final minute. Dan Cerino kicked field goals of 29 and 17 yards. Granberg had his best game of the year, 61 yards rushing, before leaving the game early in the third quarter with a possible rib injury. 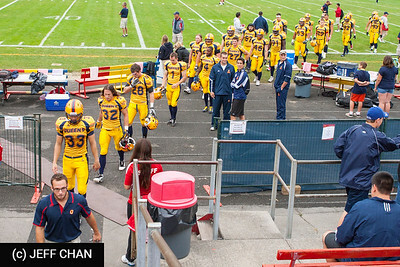 Macdonell and Chapdelaine each had their best receiving days of the year, with four catches each for 97 and 82 yards, respectively, for Queen’s.